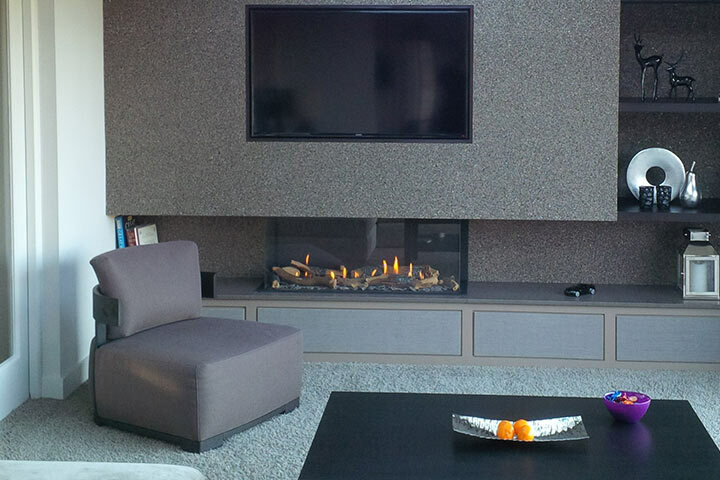 Below are a few examples of recent projects undertaken by Robert Aagaard and Company. 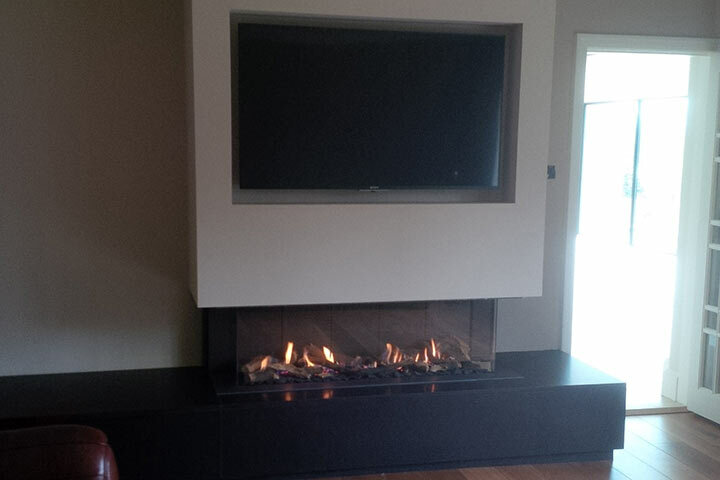 We are happy with projects large and small - whatever your requirement. 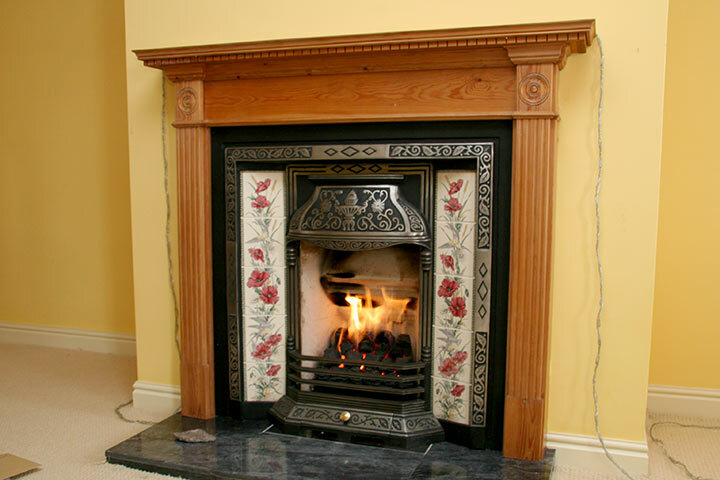 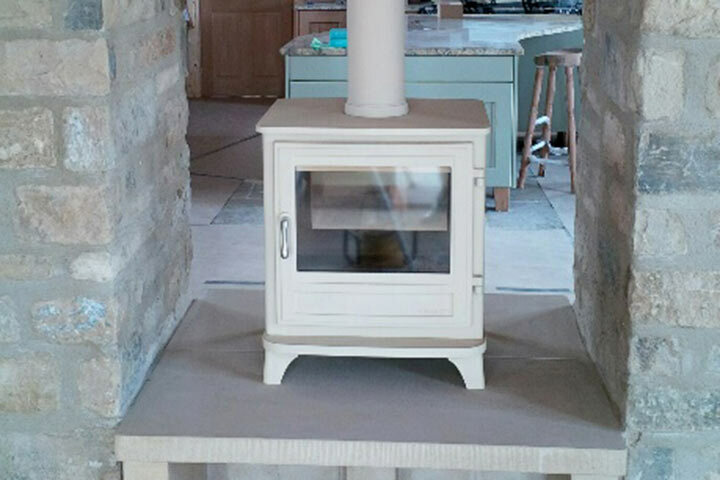 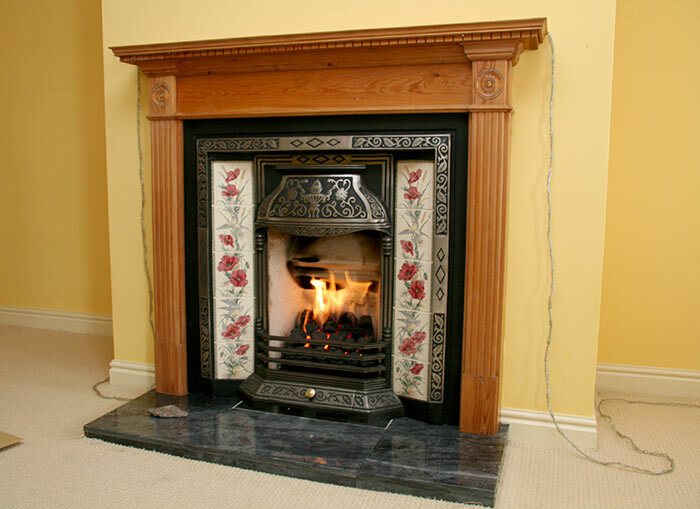 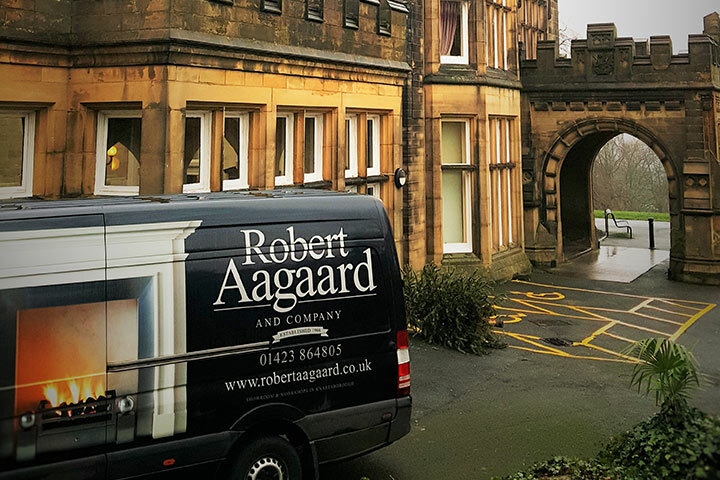 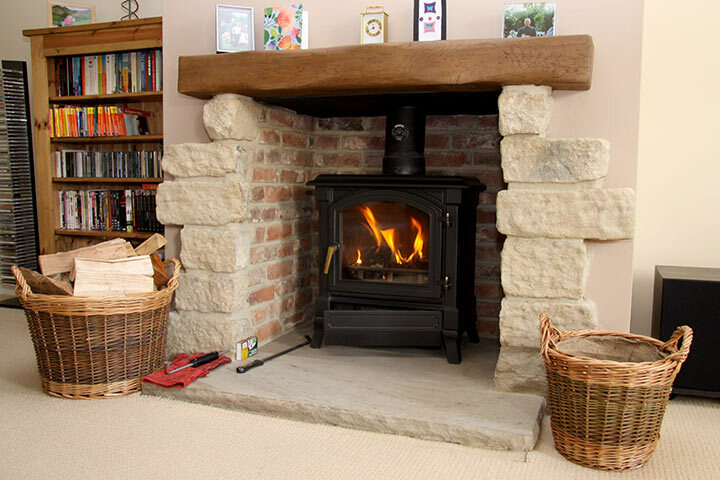 Robert Aagaard & Company are a small family firm in Knaresborough offering hand crafted fireplaces and stoves but specialising in antique chimney-pieces and individual commissions. 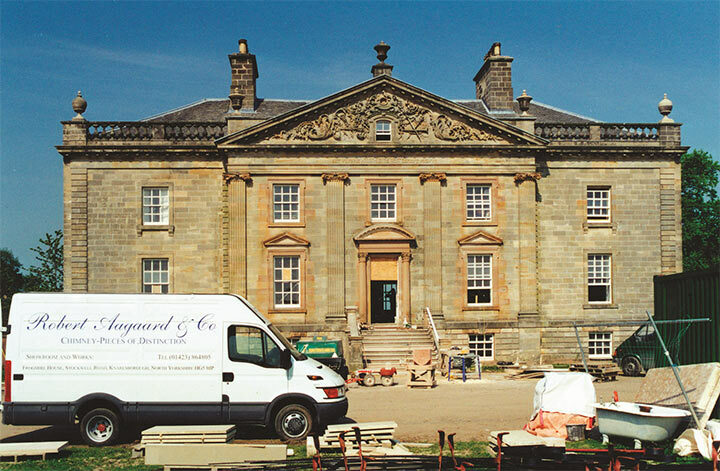 Travelling the length and breadth of the country and abroad we are fortunate enough to work in prestigious properties, hotels, private homes along with many historic houses. 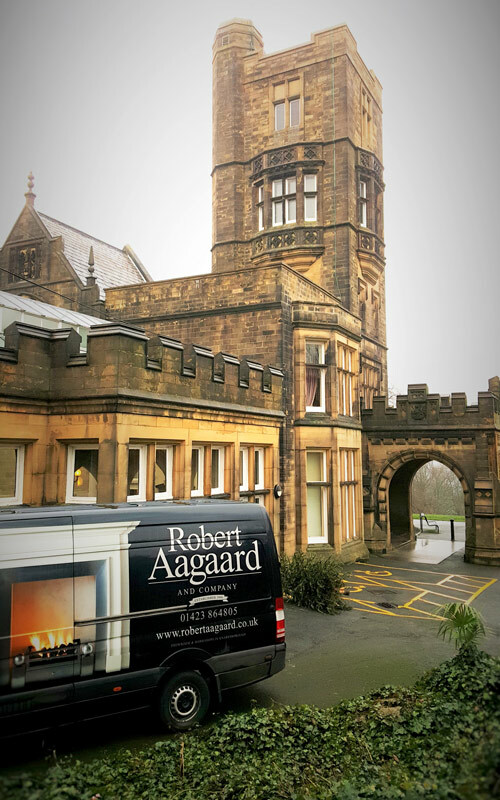 One such commission came to Aagaards in 2015 via Cliffe Castle Museum in Keighley. 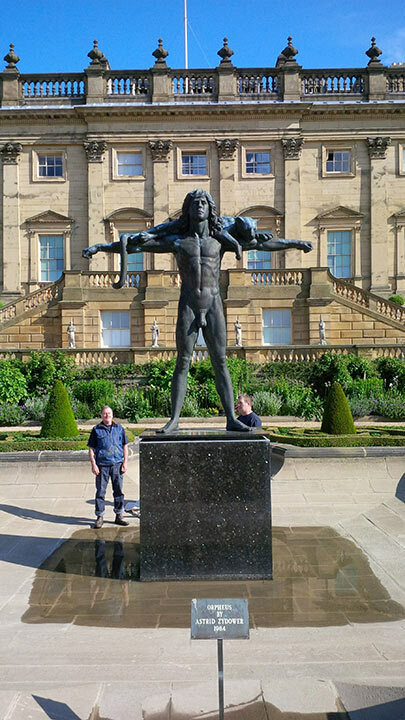 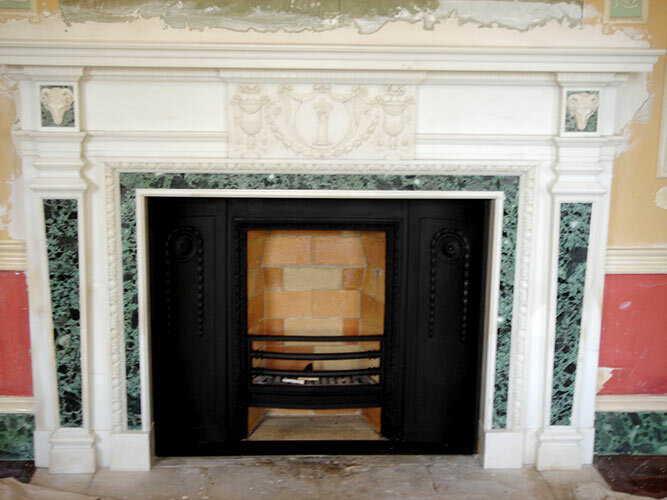 Here the project set out to reinstate a rare 19th century malachite chimney-piece in its original setting after removing and transporting it from its present location in Nottinghamshire. 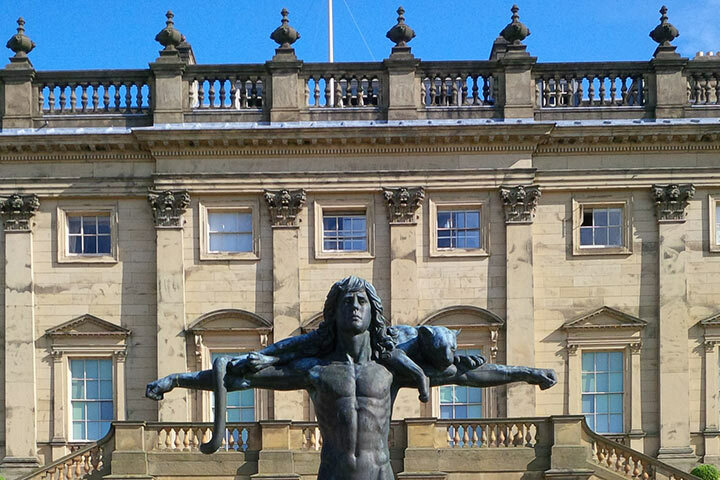 Cliffe Castle was created in the 1870s and 80s by wealthy entrepreneur Henry Isaac Butterfield. 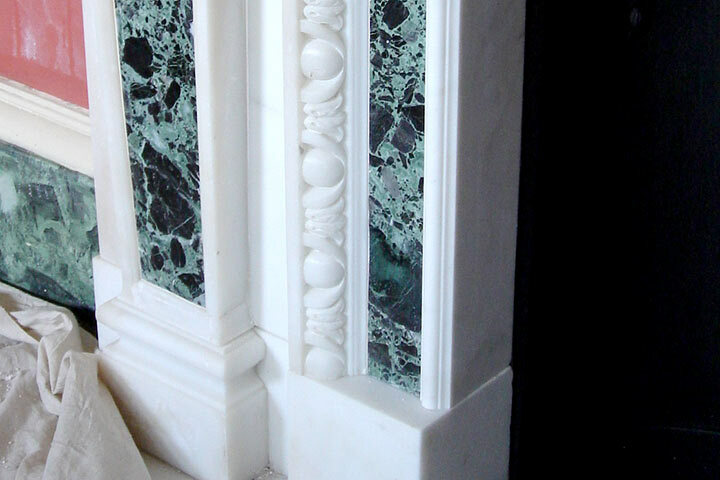 Butterfield, whose fortune came from textiles, shipping and the China trade, was married into the celebrated American presidential Roosevelt family. 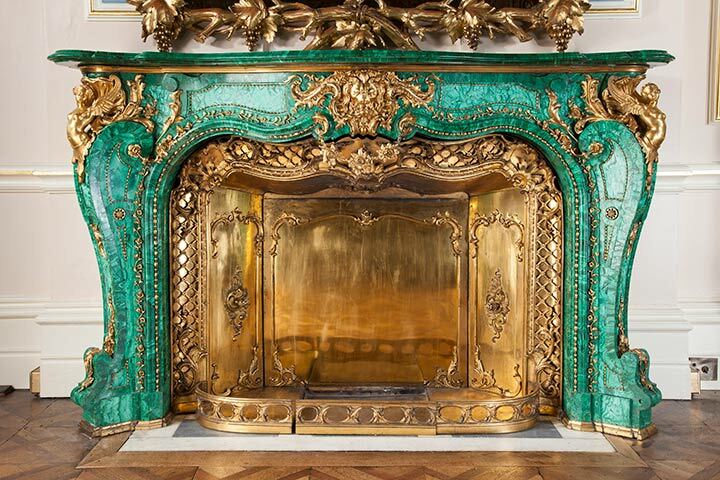 He and his wife were also well loved members of the court of the French Emperor Napoleon III. 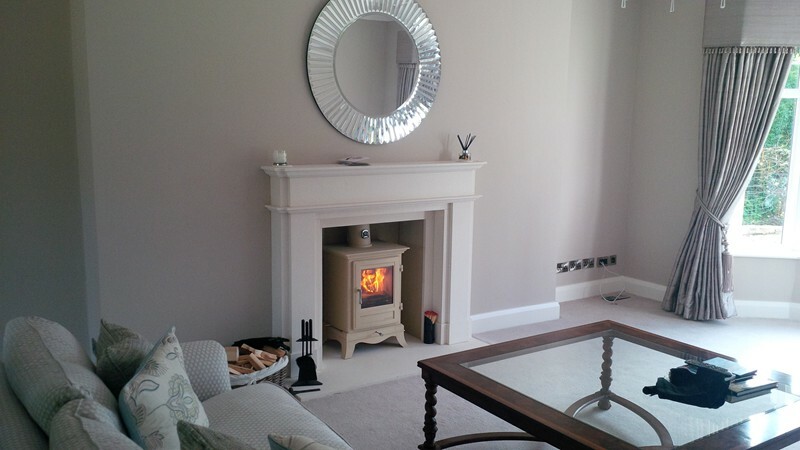 The couple had homes in New York, Paris, Nice and Keighley. 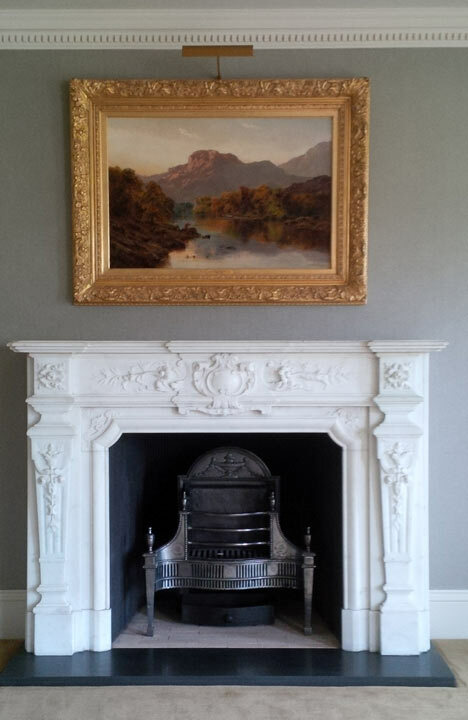 This cosmopolitan background led Butterfield to choose only the most impressive, well provenanced objects for his Yorkshire house. 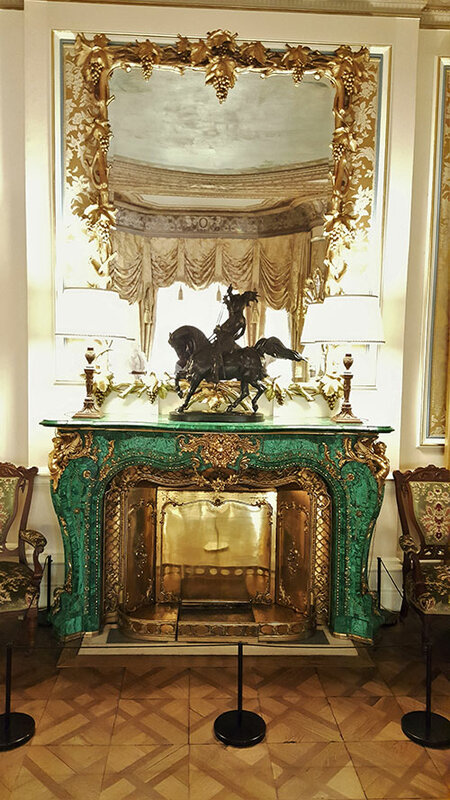 In 1880 he was successful in securing a monumental malachite and ormolu chimneypiece originally created for the Russian art collector Prince Anatole Demidoff. 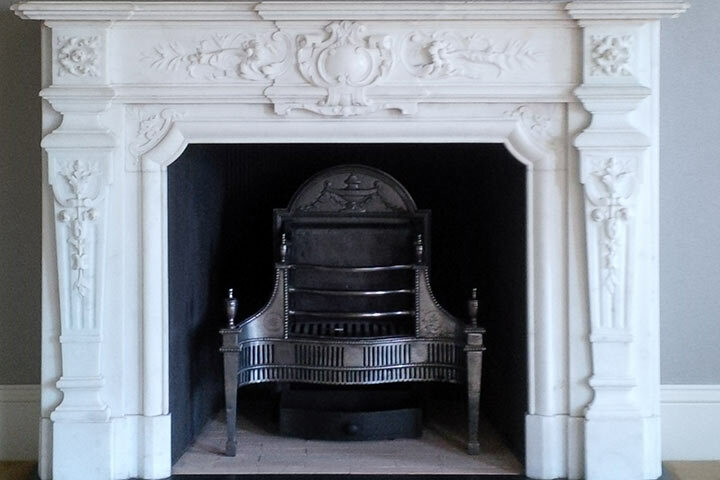 The chimneypiece which had been designed and made in the 1840s had a complex history having been a key exhibit in the Russian displays at the Crystal Palace Exhibition of 1851 and the focus of a lavish interior in a Florentine palace. 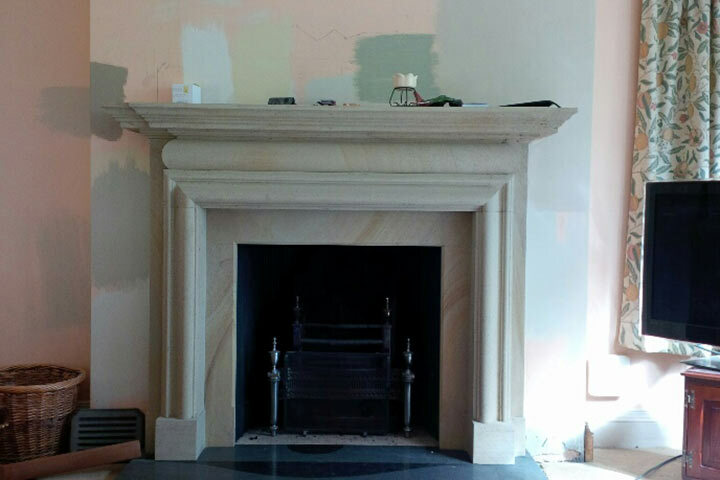 The chimneypiece travelled to Yorkshire from Florence and became the centrepiece of Butterfield’s newly completed Great Drawing Room. 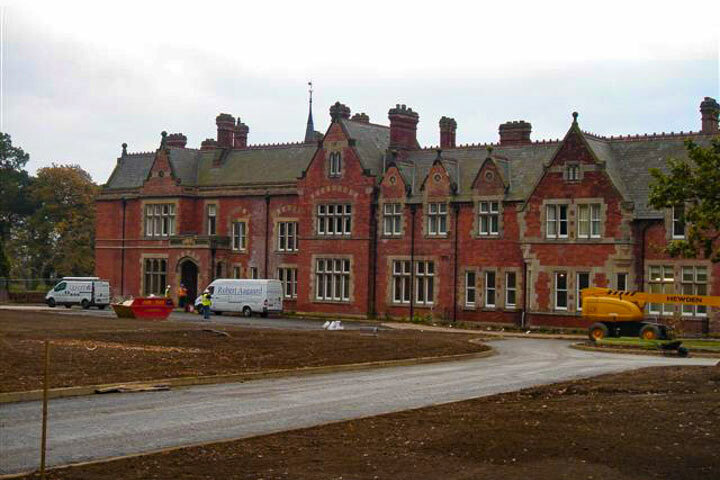 It remained here until 1950 when Butterfield’s granddaughter Countess Manvers took it with her to her new home at Thoresby Park, Nottinghamshire. 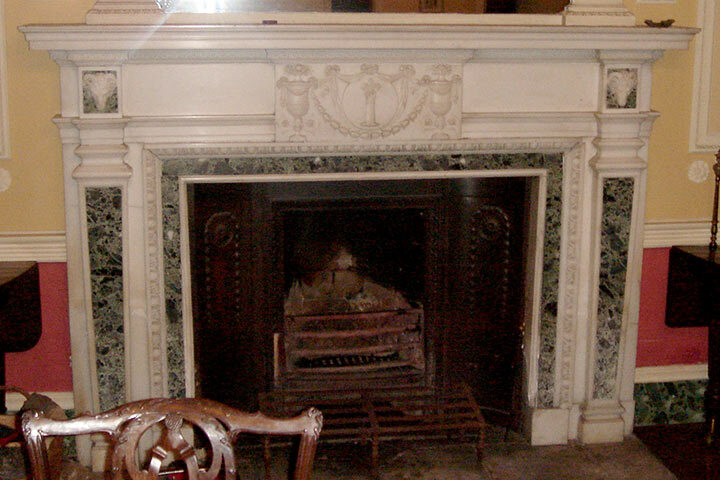 After many years in the Countess’s private sitting room it moved to a smaller house within the Estate grounds. 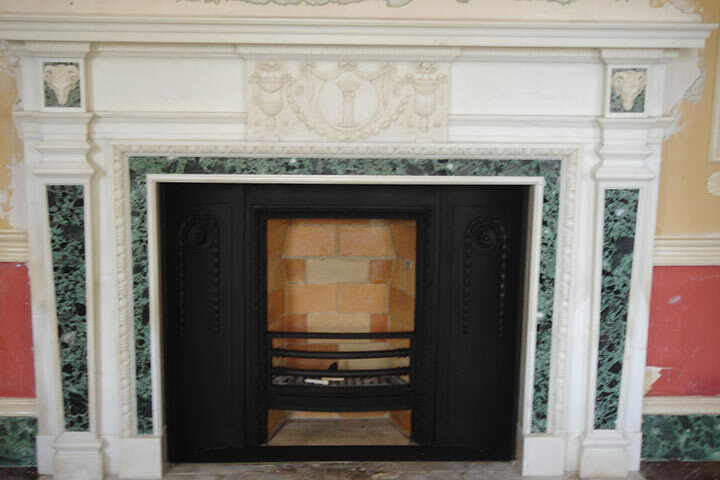 Following the death of Countess Manvers’ daughter Lady Rozelle Raynes the chimneypiece was generously bequeathed to Cliffe Castle which had become a museum in the 1960s. 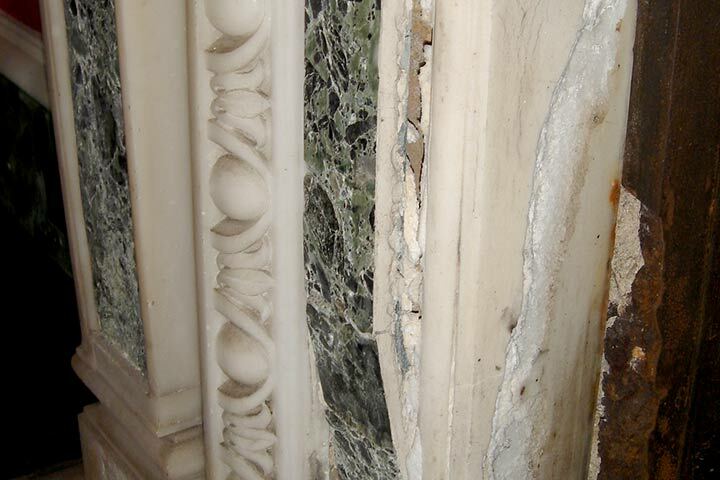 Robert Aagaard & Company were commissioned to ensure its safe removal, transportation and installation. 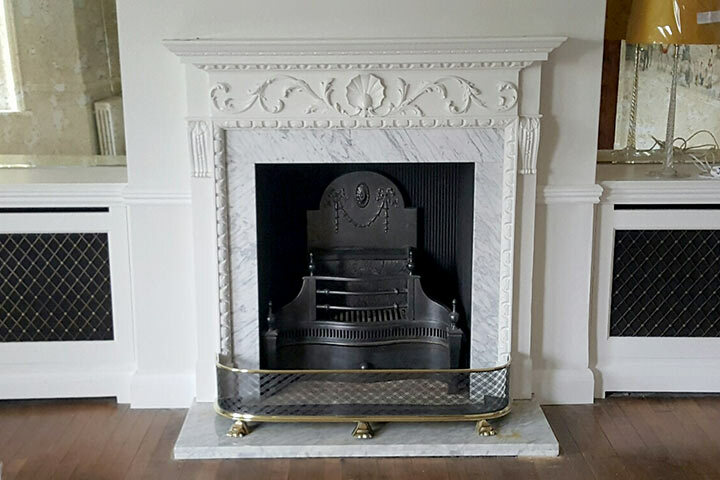 The rarity and fragility of the chimneypiece coupled with undertaking building work in a listed historic interior made this a challenging project however the completed chimneypiece is now able to be enjoyed again, restored to its original setting. 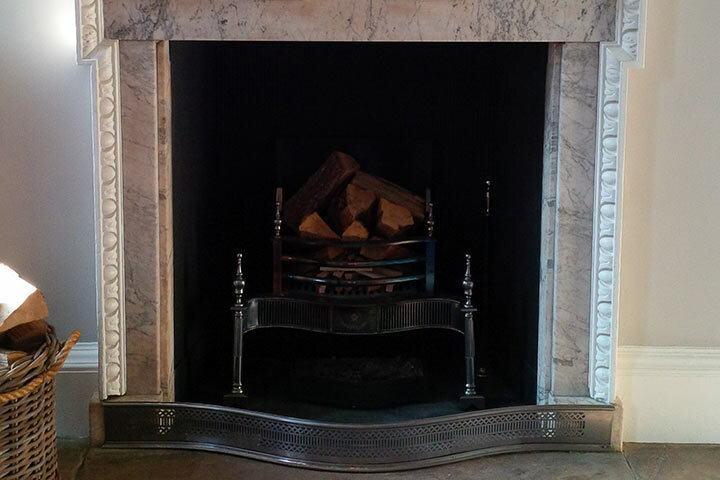 Cliffe Castle Museum is open Tuesday to Sunday and has free admission. 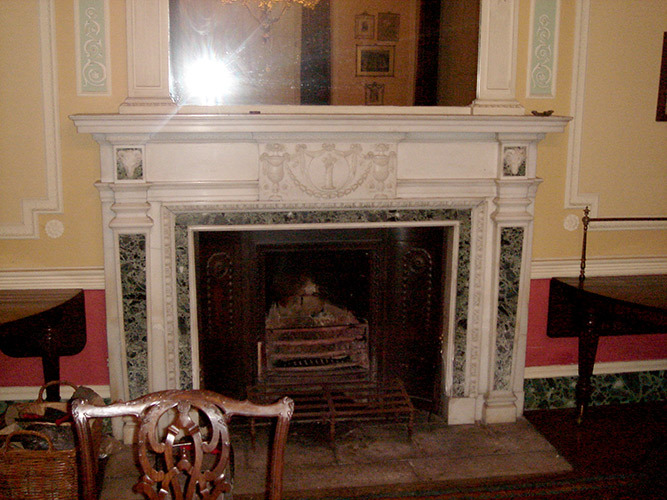 To find out more about the Castle please consult the website www.bradfordmuseums.org. 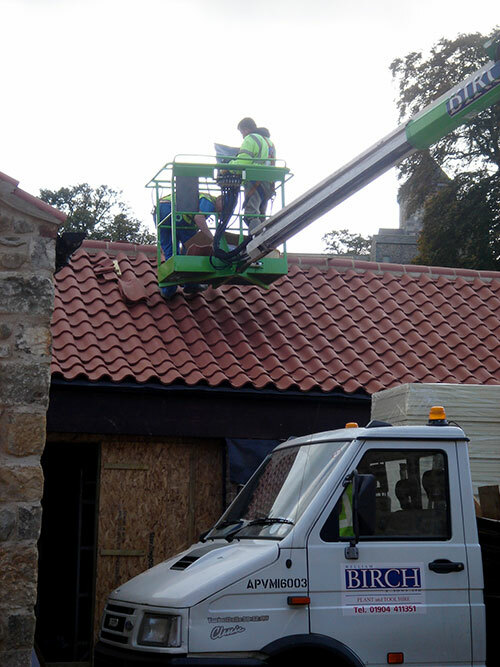 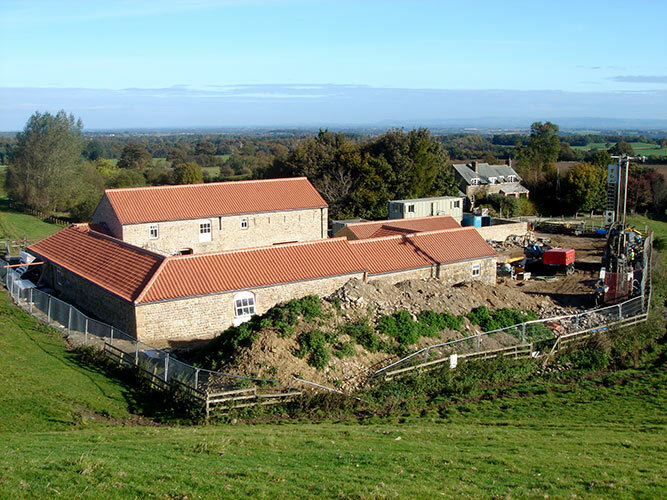 Further to a recent commission via the main contractors (Wm Birch), we worked for the National Trust at a property near Fountains Abbey called How Hill Farm. 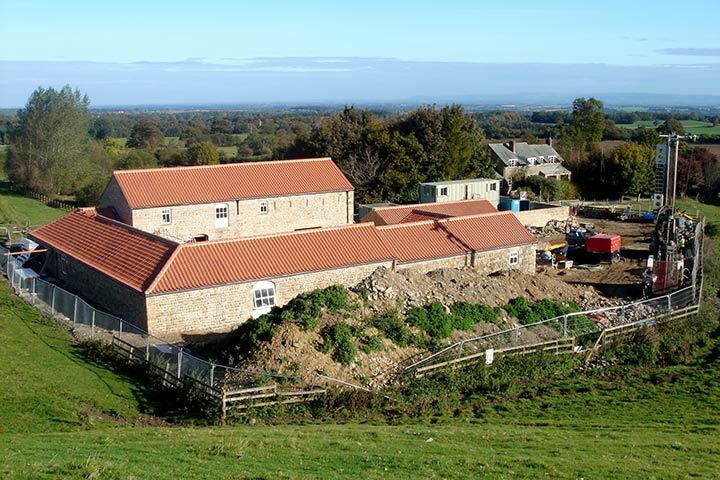 This was a restoration/renovation project of the old farm with conversion into five individual holiday cottages. 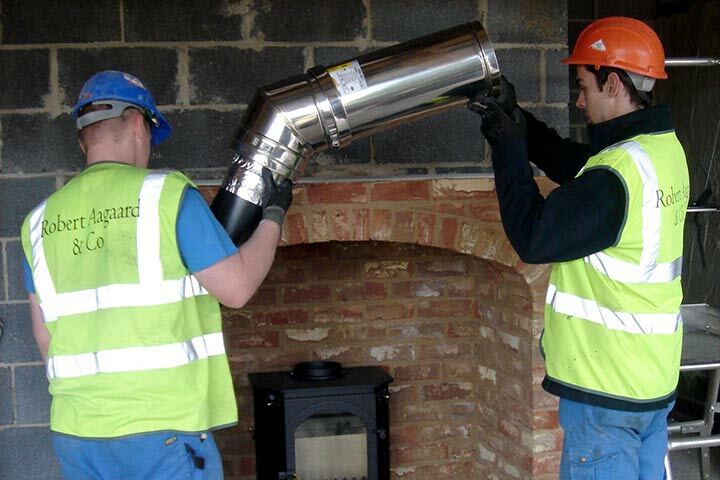 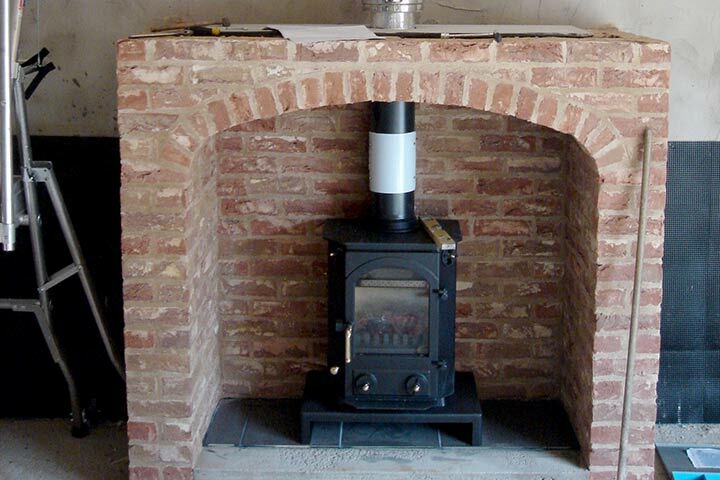 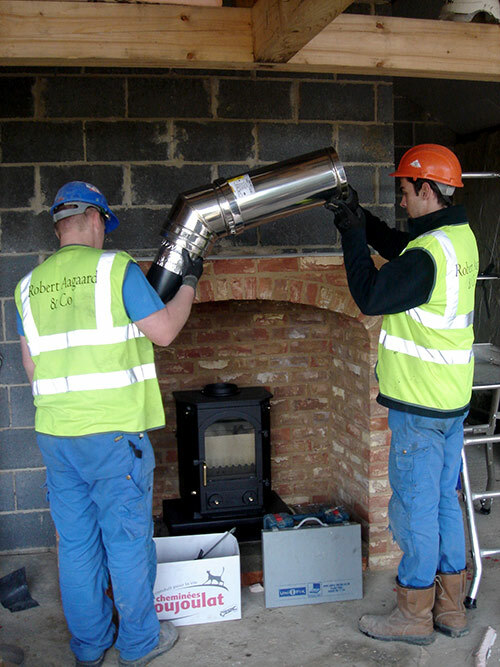 The installation was interesting from the point of view that the main contractor built the brick fireplaces and it was left to ourselves to supply and install a prefabricated insulated flue system which tends to be a very efficient method of building a Class I chimney. 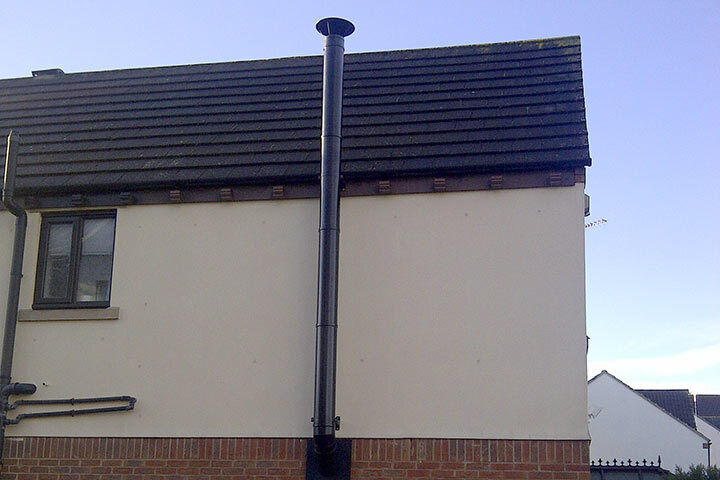 One of the various advantages of this system is that an installation can usually be completed within a day. 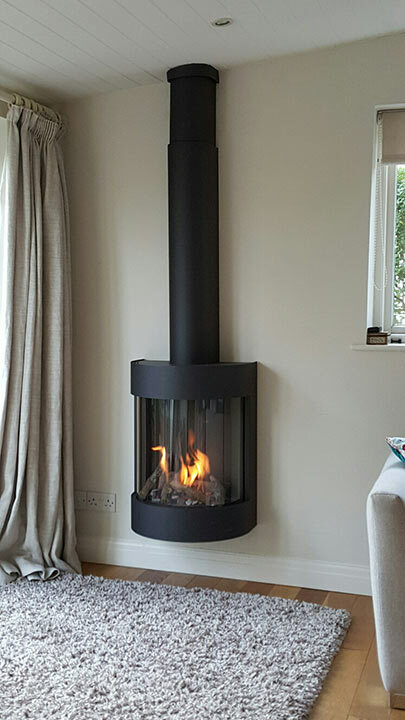 This particular installation involved the flue system being built into a dummy chimney breast but occasionally this very same flue system is made a feature of in the more contemporary installations we get involved in. 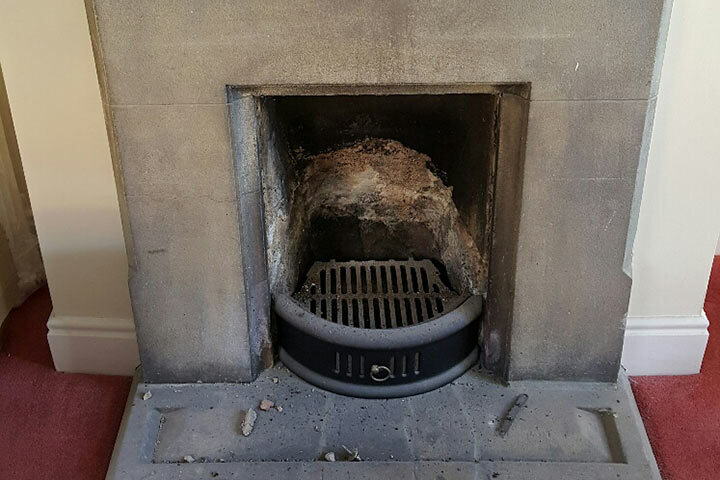 This project gives an idea of the sort of work that we can provide and was in fact an original 18th Century chimney piece that was suffering greatly from deterioration and breakdown due to salts and damp within the property. 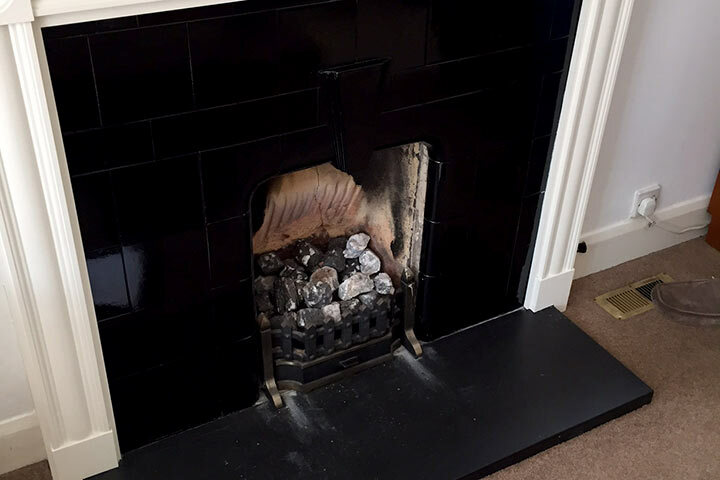 The photographs give an indication as to the problems but in essence this was due to damp affecting not only the chimney-piece but also the entire room to approximately 3-4 foot - the usual damp height. 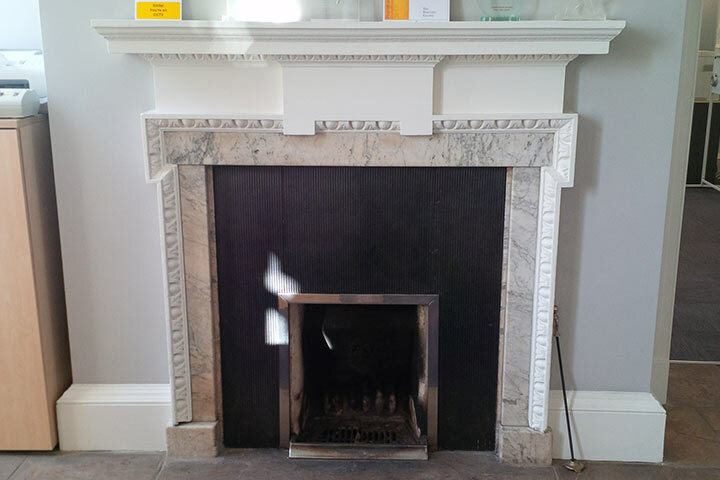 Erosion had taken place to both pilasters and opening mould and also due to the age of the chimney piece a lot of internal troubles had been caused due to acid erosion from soot and had impregnated various other sections. 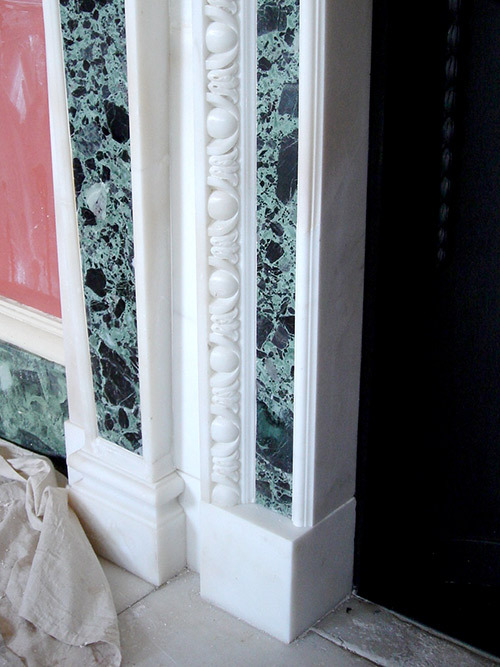 The complete pilaster section had to be replaced as with the foot blocks and internal opening and again the before and after photographs give an indication as to the end result. 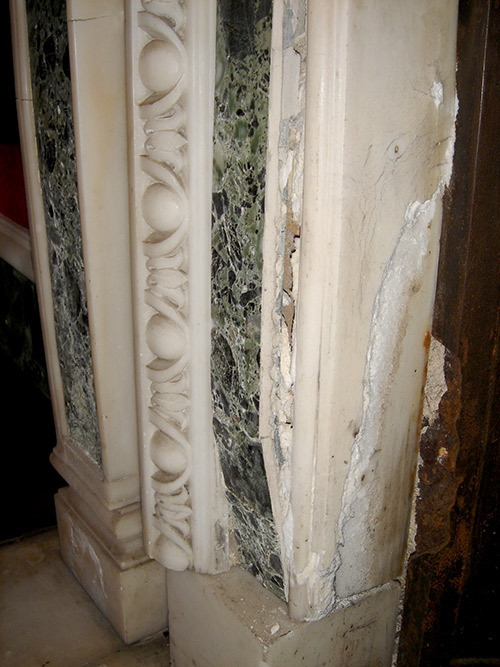 Also the cast iron was re-modelled and then recast as again the erosion has caused pitting and damage to the fire burning area along with the underside of the plinth blocks. 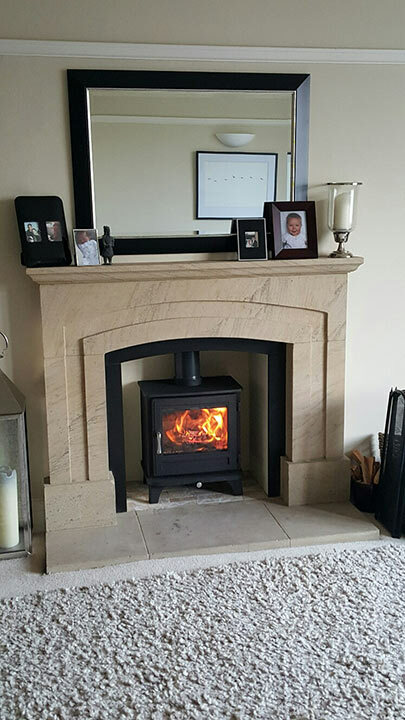 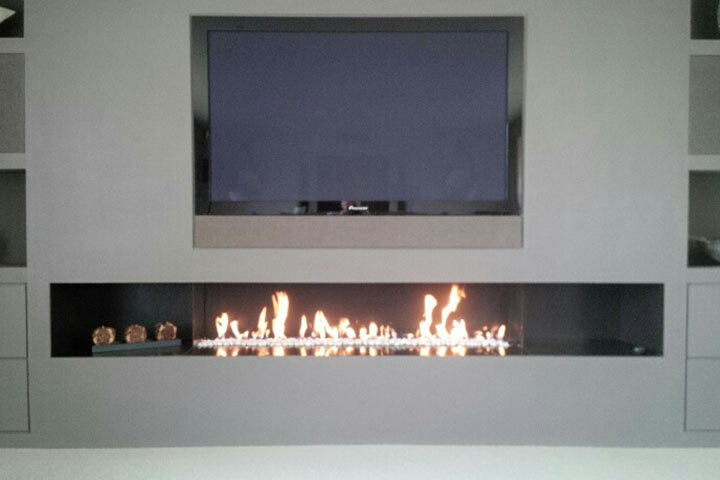 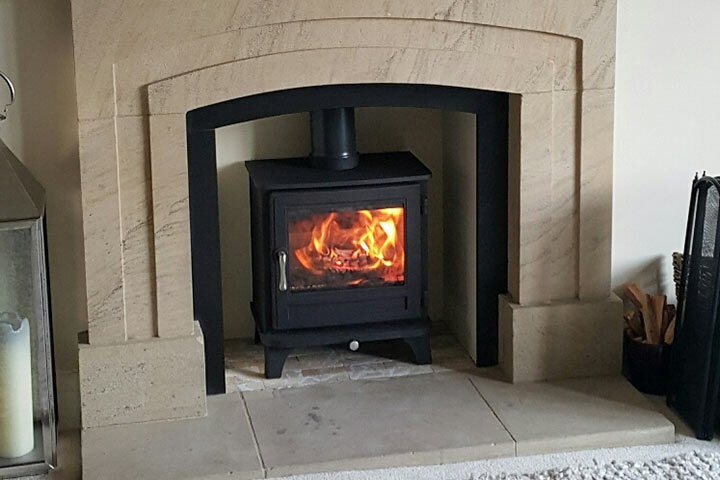 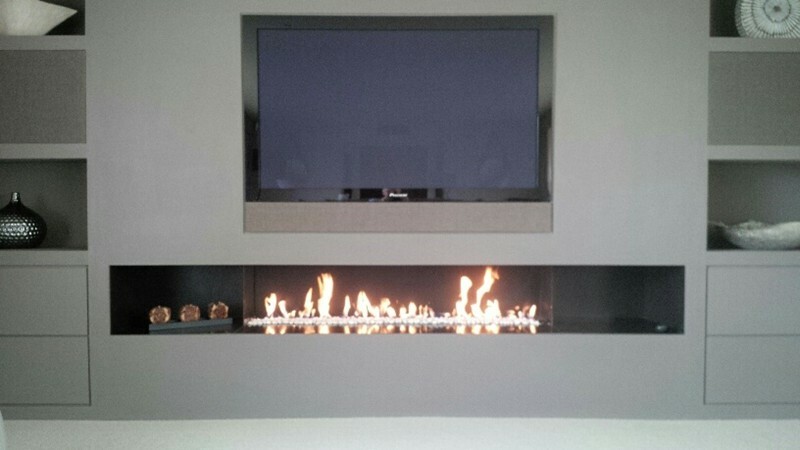 This job involved removal of an existing gas fire and fireplace in a large living room in a barn conversion near Harrogate and opening up an existing chimney breast and installing a wood burning stove - see images above. 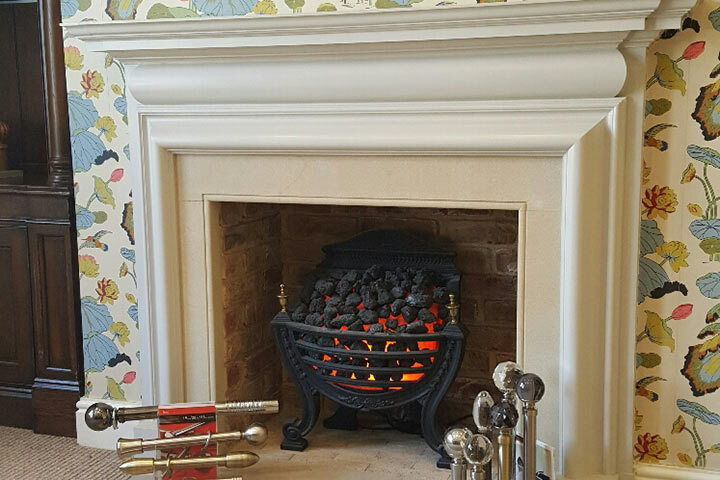 The existing fire and fireplace were carefully removed and we opened up a large recess in what was a solid chimney breast. 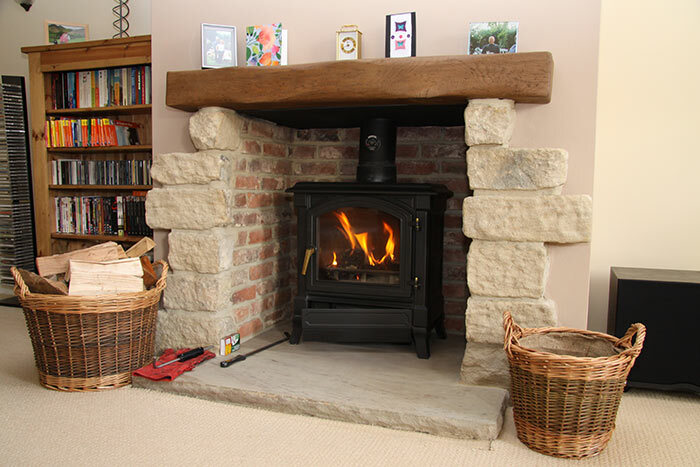 We lined the cavity with reclaimed bricks and used reclaimed Yorkshire stone to the face of the opening up to the underside of an oak beam with the hearth formed using reclaimed Yorkshire sandstone flags. 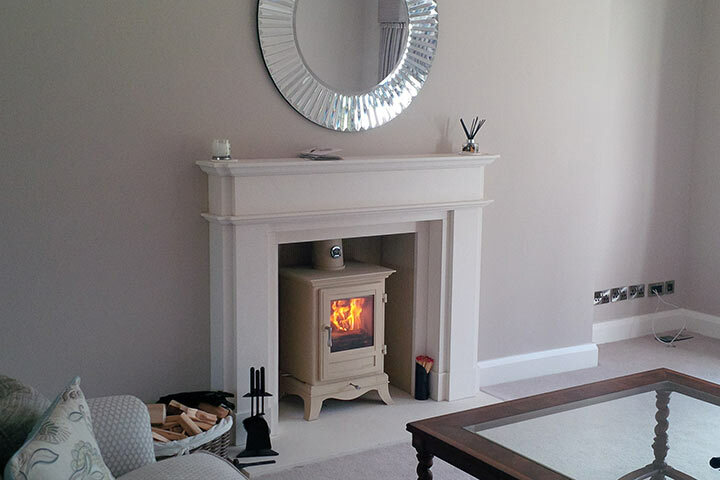 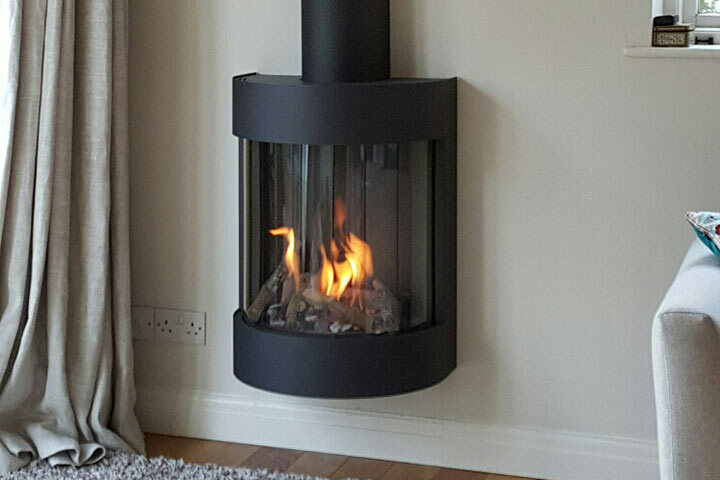 The existing gas fire flue was lined with a flexible stainless steel flue to maximise efficiency of the flue and a Euroheat Harmony 23 wood burning stove installed by our HETAS approved installer. 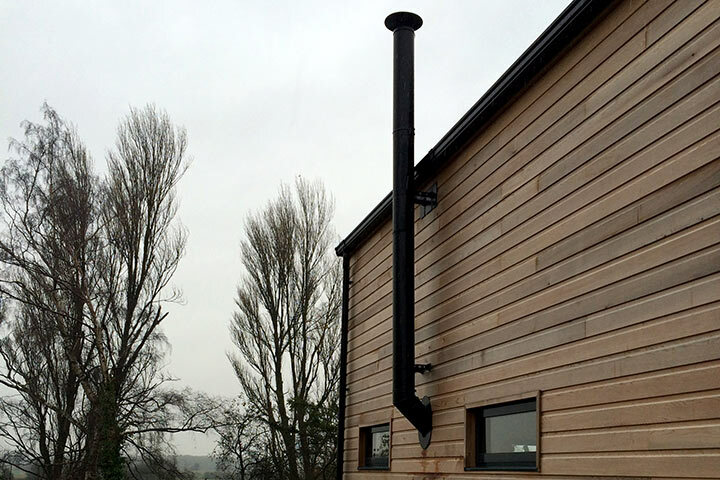 A small air vent was also installed to the outer wall. 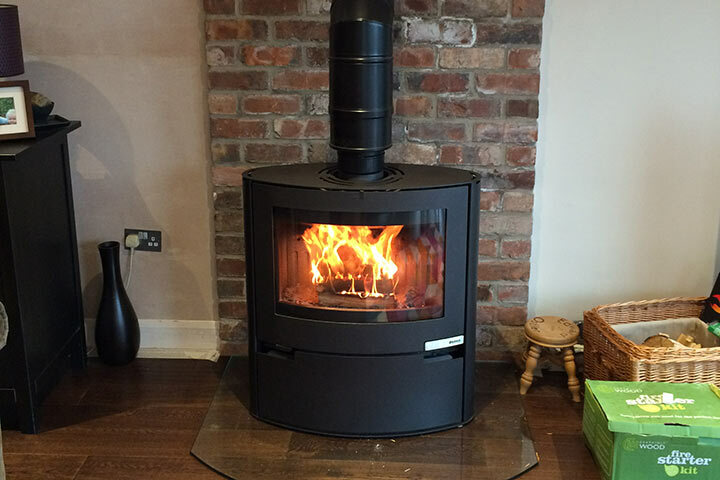 This Harmony stove also supports a remote control system which enables control of the fire from the comfort of a sofa or it can be set to automatically control fire output to maintain the specified room temperature - all you do is keep the fire adequately fuelled. 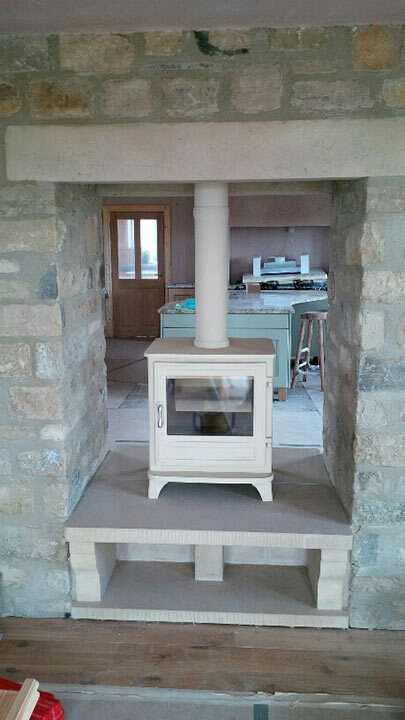 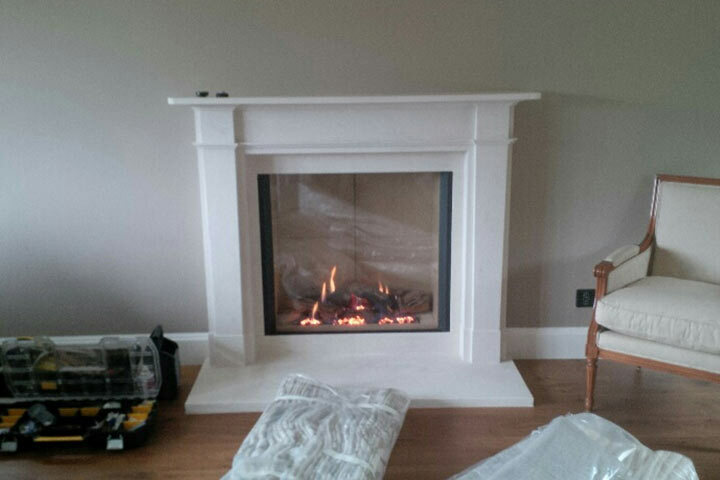 A recent project for a stove to replace the existing open coal fire. 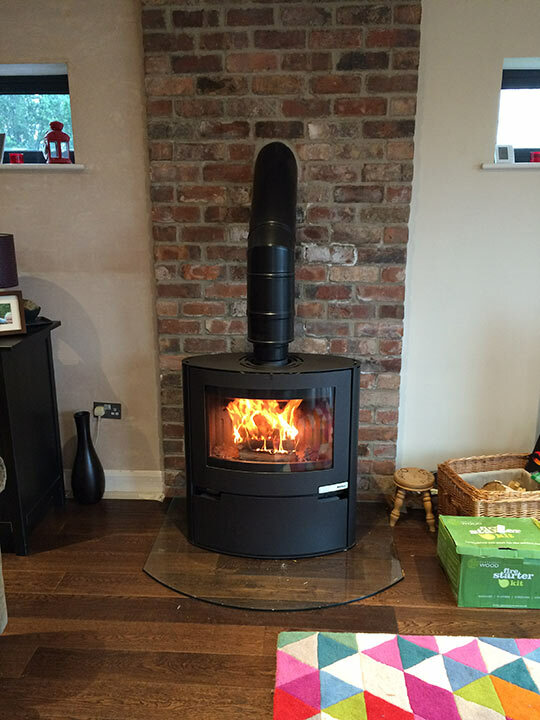 The chimney breast was not deep enough to allow for a stove, so to get over this we built a chimney breast into the room and ran the flue from the top of the stove, through the wall on a 45⁰ bend then connected this to the liner, installed to the existing chimney. 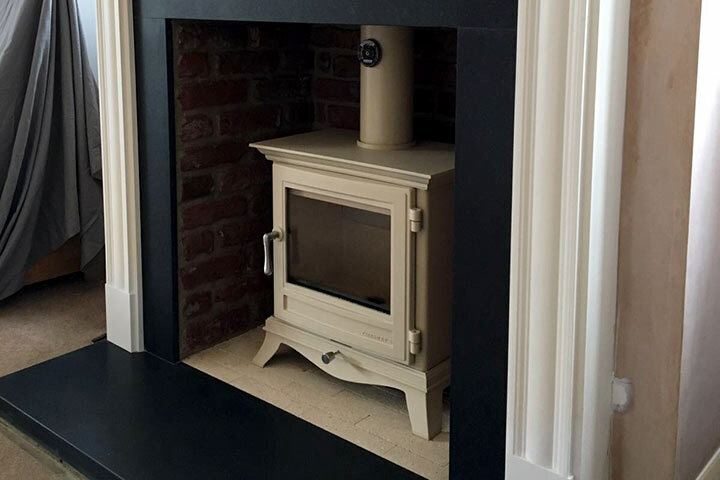 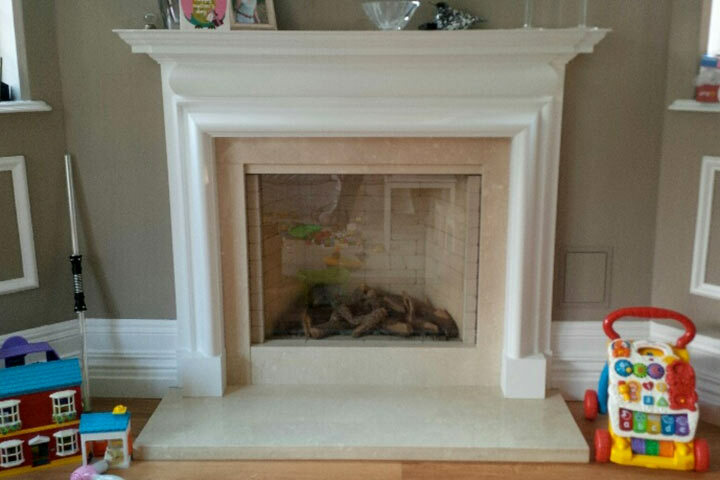 All this gives the fantastic end result of the stove recessed in a chimney and overcomes the problem of an existing chimney breast being too shallow for the chosen fire product. 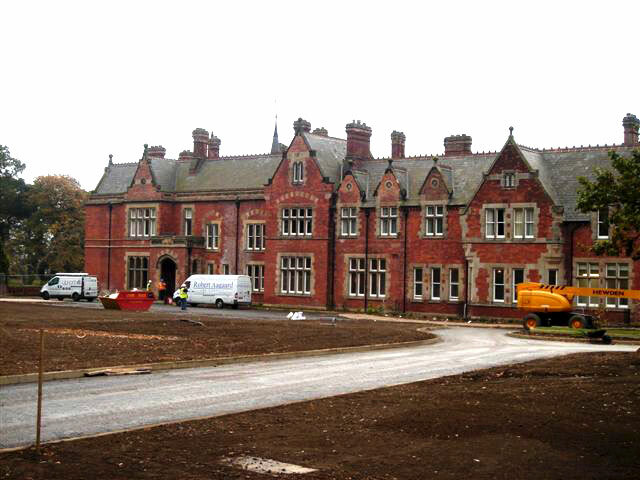 A recent instruction was given to us by an interior designer in the midlands for work to be completed at the prestigious golf and country club – Rockliffe Hall near Darlington. 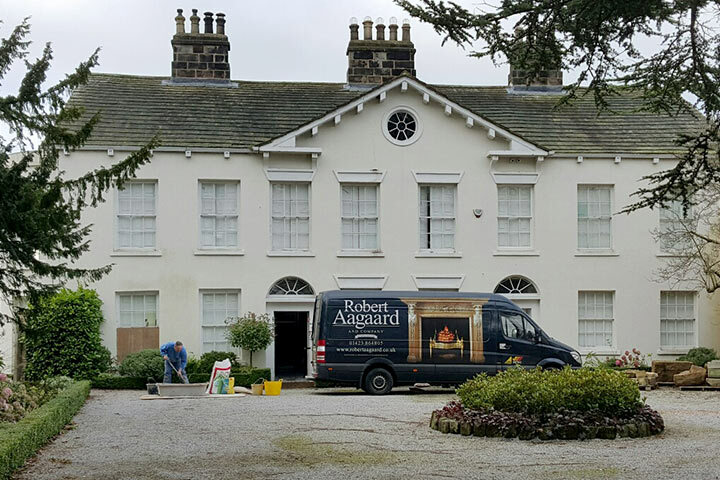 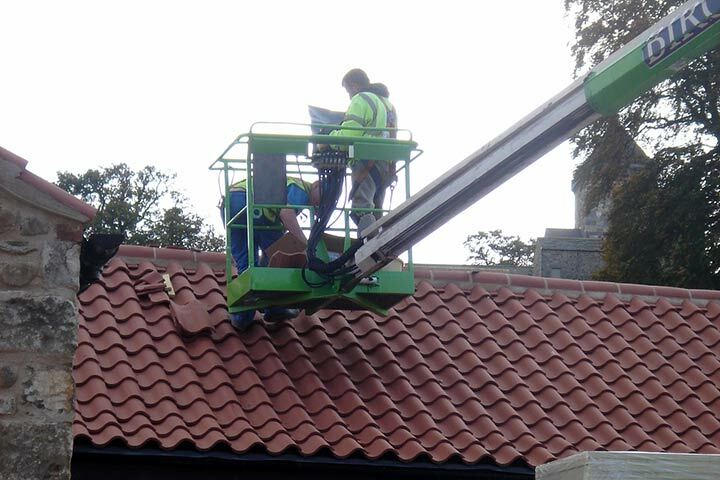 We were involved in the supply and installation of new chimney pieces in the old hall bedrooms throughout the top floor and also carried out the restoration of the original chimney pieces in the ground floor along with supplying various individual antique fire baskets. 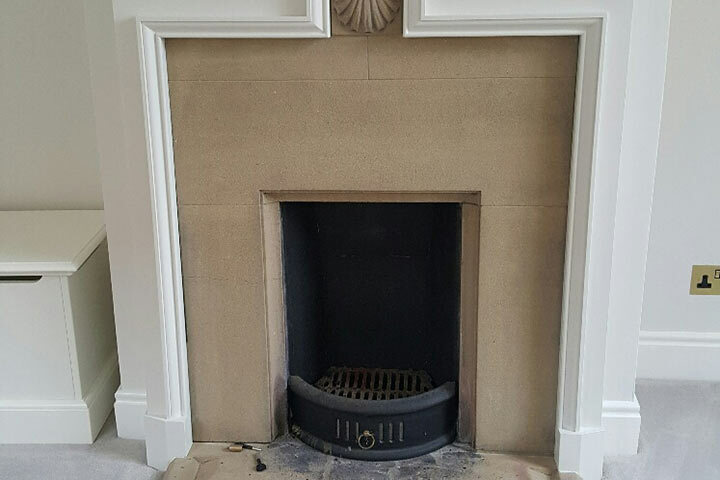 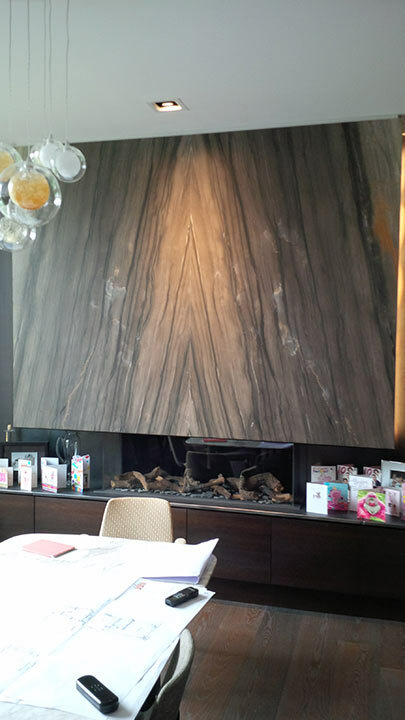 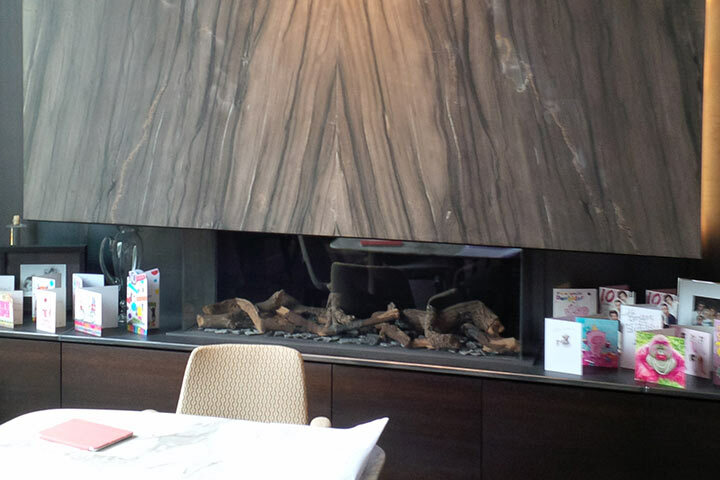 We also installed a bespoke hand carved stone chimney piece within the entrance hall of which is to work with a solid fuel fire giving all of the clients a warm welcome in the hotel. 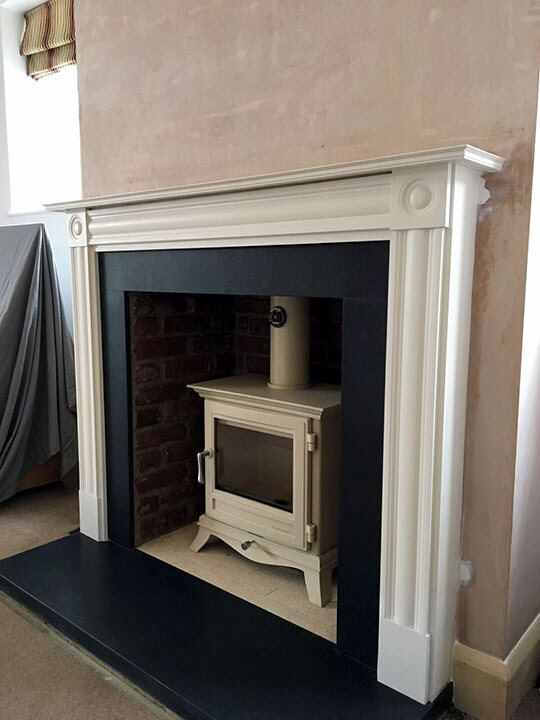 The interesting point of this installation was that this particular new chimney piece backs onto the original chimney piece within the dining room and a new flue had to be installed. 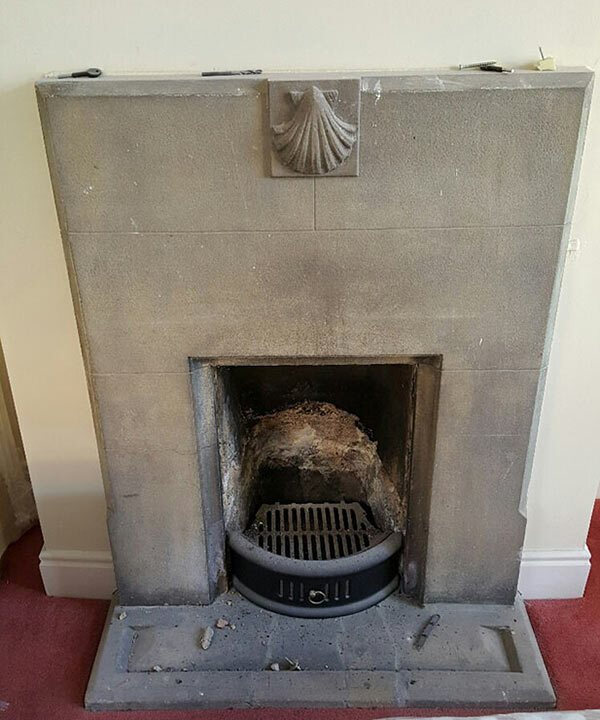 The problem with this procedure was that within the dining room there is a spectacular continued marble chimney piece which has leaded light windows and would have been the original gable end. 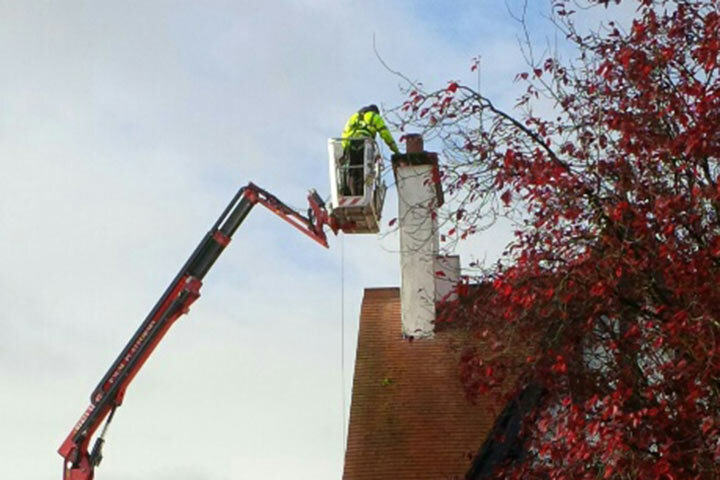 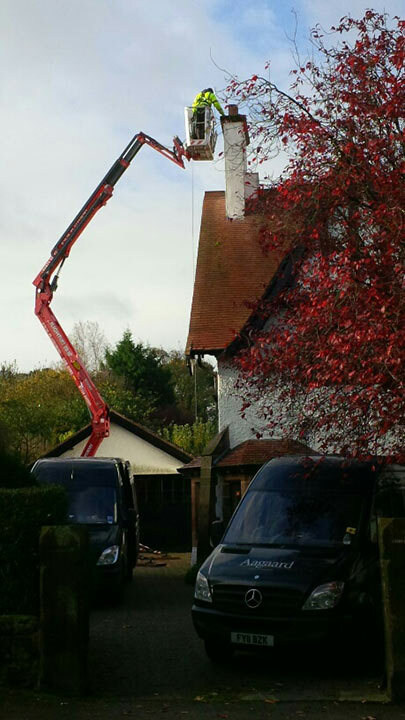 However, the positioning of the new chimney piece is in the new build extending the old hall. 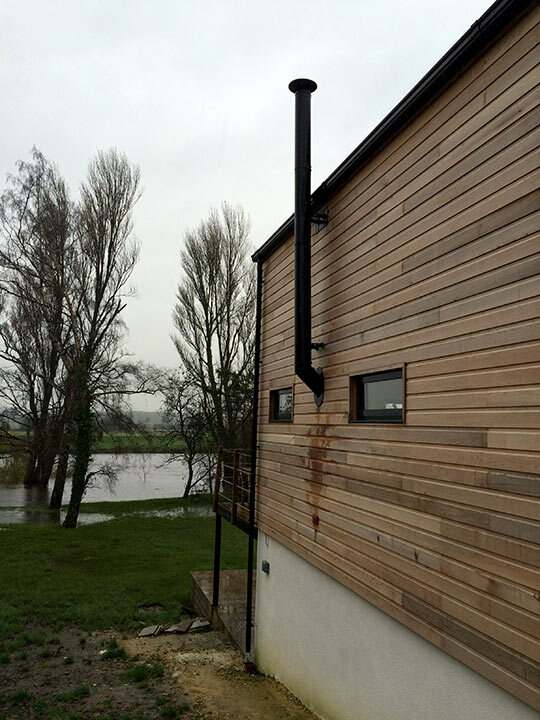 We were able to install specialist lighting behind the leaded lights so that the decorative glass can still be viewed within the dining room and the new flue system is diverted to either side of the windows so as not to compromise them and then joins together again at roof top level. 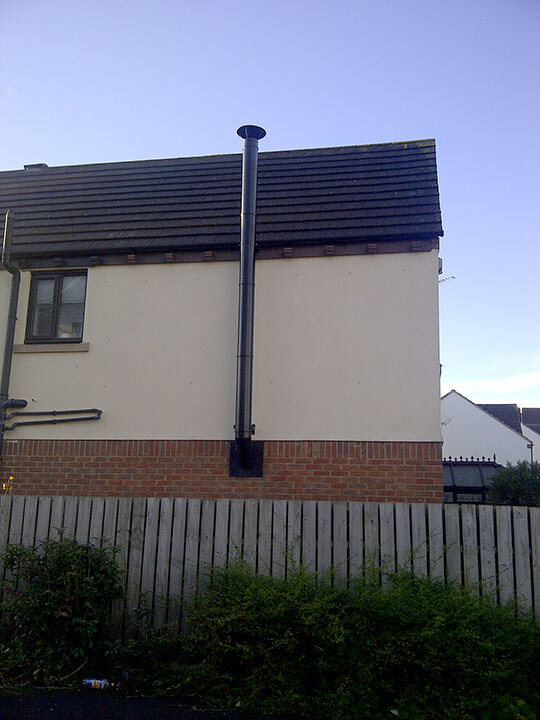 Below are some more examples of our work. 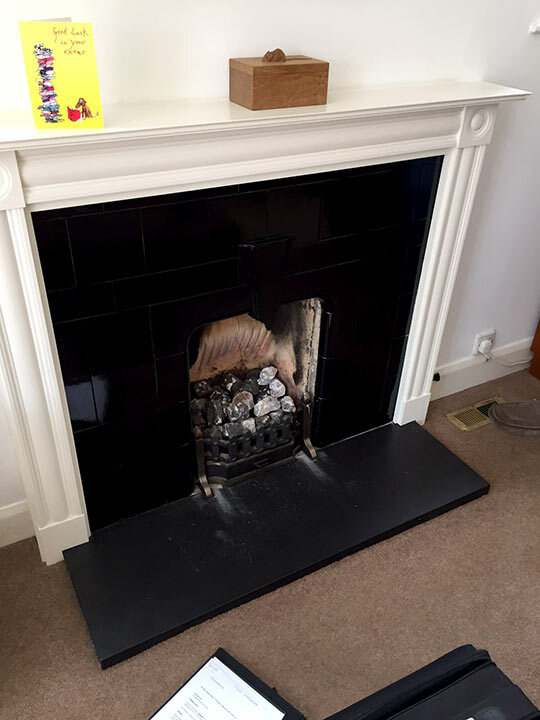 Please click an image and then view the gallery.